Here’s a great recipe to add a little green to your summer BBQ spread. 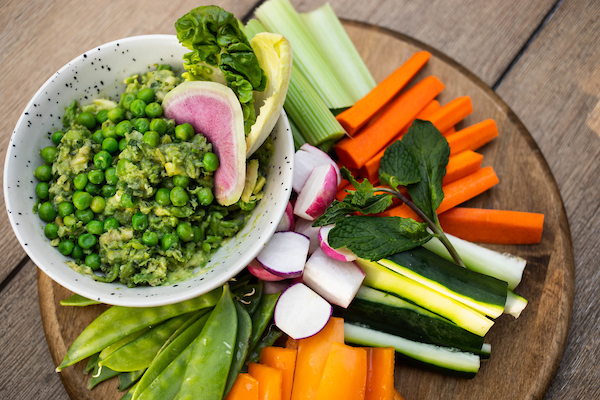 Slice up your favorite crudite and pair it with Chef CJ Jacobson’s signature Avocado & Sweet Pea Spread from Ema. To download a recipe of the Avocado & Sweet Pea Spread, click here. The best parties usually have the best appetizer spreads. Here’s some recipes for a few of our favorite dips.